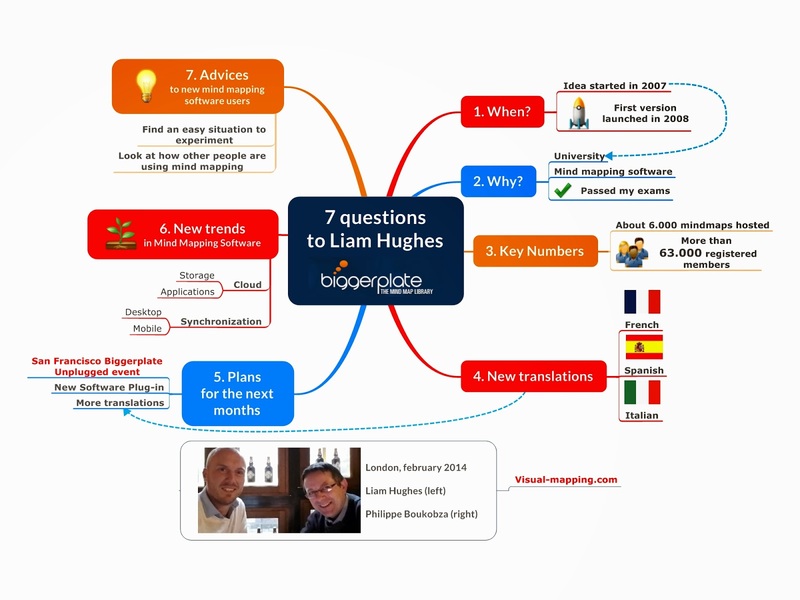 Last week, in London, I had the pleasure to meet Liam Hughes, co-founder of Biggerplate, the famous MindMap Library. I asked him 7 questions about Biggerplate, its beginnings, some key numbers, new projects, trends in mind mapping software and some advice for new mind mapping software users. Here is the complete interview. Liam, when did you start Biggerplate? Biggerplate was started in my last year at University and that would be 2007, the first time of developing the idea. The first version of the website was launched in 2008. Why did you decide to create Biggerplate? The idea from Biggerplate came when I was studying at University and was struggling in my studies. I was introduced to mind mapping software by someone who thought it might be useful for somebody like me. And I used mapping and mapped out my all course, which helped me then passed my exams. This gave me the idea to create an online resource for Students. So the original idea of Biggerplate was as a source where students can go and get academic information but in a mind map format where they could adapt and edit the information. That was the original idea. Could you give us some key numbers about Biggerplate? We have got about 6.000 mindmaps hosted on the site. There is about 62.000 -63.000 registered members on the website. Mappers from all over the world are visiting our website. Ultimately you launched French, Spanish and Italian version of Biggerplate. Why did you decide to translate Biggerplate into these 3 languages? We get a lot of visitors to the website, and traffic from France in particular has really increased in the last couple of years. There are a lot more French mindmaps and a lot more people visiting the website from France and we really want to make sure that people arriving on the website get an experience on the website that is easy as possible for them. So they can find useful content and move their way round the website and find useful content. And in terms of Spanish, we think if we can get the site into Spanish, this will help us reach a very broad audience, obviously there is huge numbers of countries in South America as well as Spain itself. They might be able to engage more easily with Biggerplate if it’s in their language. What are you main plans for the next months? Another big project is to help Biggerplate get integrated into different mind mapping software, so we are building an API. That will mean people can send maps to Biggerplate direct from their mind mapping software or search for maps and download maps from within the software straight from Biggerplate. We also want to continue with the translation of the website into lot of different languages. 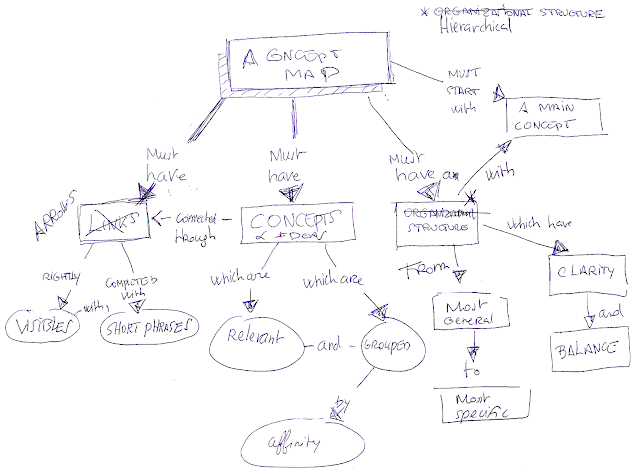 We are rebuilding Mappio.com for hand drawn mindmaps, which is more complicated than we originally thought but we are making progress, that‘s another big project for us for the next 3 months. Do you see some relevant trends actually in the mind mapping software industry? I think the most visible trend and perhaps one of the biggest focuses for some of the software companies is trying to keep up with a combination of cloud storage, cloud applications and synchronization with the mobile and the desktop. Could you give some advice to users who are beginning to use a mind mapping software? My advice is to find an easy situation to experiment. Rather than starting your mind mapping by trying to write your whole business plan or solving your most complicated problem, I suggest trying simple experiments where you can test what works and what doesn´t. One of the easiest examples is to to turn your weekly to do list or planning into a mindmap prioritizing your tasks. My second piece of advice is to by look at how other people are using mind mapping in different situations, for example by browsing mindmaps on Biggerplate.